All Brooklandville homes currently listed for sale in Brooklandville as of 04/24/2019 are shown below. You can change the search criteria at any time by pressing the 'Change Search' button below. If you have any questions or you would like more information about any Brooklandville homes for sale or other Brooklandville real estate, please contact us and one of our knowledgeable Brooklandville REALTORS® would be pleased to assist you. "The Green Spring Valley is dappled with exquisite homes along each scenic twist and turn. 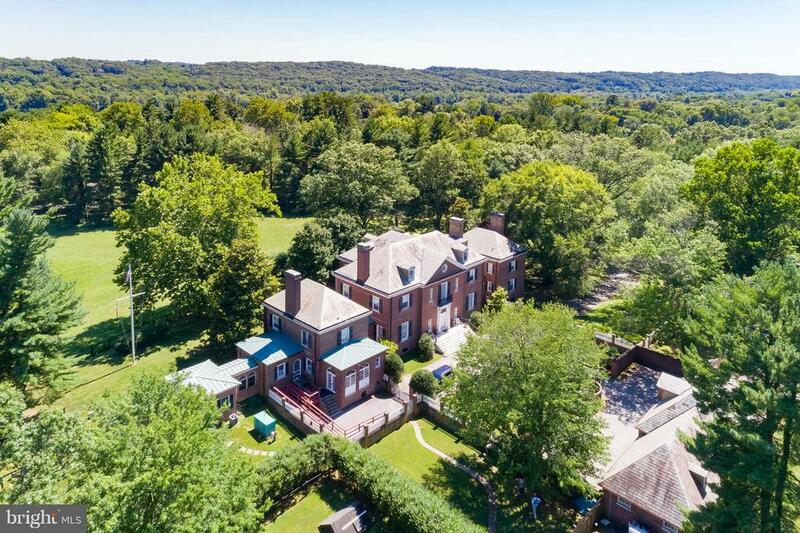 One of the most notable estate properties along this picturesque stretch of Maryland horse country is ~Brandonwood~ at 918 Greenspring Valley Road. Brick and iron gates open to a lovely tree-lined estate drive winding past sun-filled pastures on its way to the walled motor court in front of this spectacular home. Typical of its Georgian prototypes, extreme care and craftsmanship are evident in every aspect of this incredible home, from the proportions to the finest detailing. Over-sized entry doors lead guests into a foyer and large French doors open into the wide two-story Great Hall, a grand space lined by an exquisite low-rise staircase sweeping along the wall, up to a mid-landing and to the second floor. Grand entertaining rooms radiate from this great space including a formal Living Room, the banquet-sized Dining Room and the Sun Room. The Living and Dining Rooms include spectacular wall and wainscot moldings as well as a wood burning fireplaces and French doors to the gardens. Three walls of arched French doors grace the Sun Room affording widespread views of the Valley beyond as well as easy access to the Terraces. From the Living Room a hall leads to the West Wing with four en-suite Bedrooms on two floors. The two main level Bedrooms are now combined to create the Library with two fireplaces, extensive built-in bookcases, a wet bar and full Bath. To the East, a Butler~s Pantry connects the Dining Room to the large eat-in Kitchen and Family Room. Above are four rooms and full bath, easily convertible to a large, private au-pair suite. A Home Office extends beyond the Family Room with access to a glass-enclosed breezeway to the multi-purpose Annex addition perfect for a studio or retreat. The Second Floor hall is awash with natural light from the large mid-landing window of the main staircase. The Master Bedroom Suite shares this level with a large 2nd Master Bedroom, als"